The Digital Research Library of Illinois History Journal™: The History of the Family Owned Ashkenaz Restaurants and Delis of Chicago, Illinois. The History of the Family Owned Ashkenaz Restaurants and Delis of Chicago, Illinois. 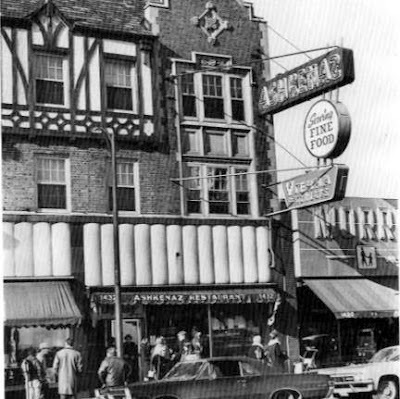 The Ashkenaz restaurant, at 1432 W. Morse Avenue in Rogers Park, Chicago, Illinois, was one of the authentic delis, serving Vienna corned beef, Rosen's rye bread, Litberg bagels, and Vita lox. 1432 W. Morse Avenue in the Rogers Park community of Chicago, Illinois. As you enter, there is a long delicatessen counter on the right filled with trays of amber smoked chubs, chopped chicken livers, potato salad, pirogen (small baked pastries filled with chopped chicken livers and onion, etc. ), gefilte fish, kishkes, and pickles. Gleaming red Vienna salamis hung from a rack on the wall. One wall of the restaurant is somber brown; the other is a mosaic of green, blue, and yellow tiles, an imitation ─ intentional or not ─ of the colors used by Marc Chagall in his evocative paintings of Jewish life in the villages of old Russia. Beyond the counter in front is an open kitchen manned by four cooks, who prepare short orders and sandwiches. There were three waitresses. A steady hum of conversation is assertive, argumentative, studded with friendly insults and retorts. "When are you going to retire?" a customer asks of a cook working at the meat slicer. "When I have your money!" the cook shoots back. 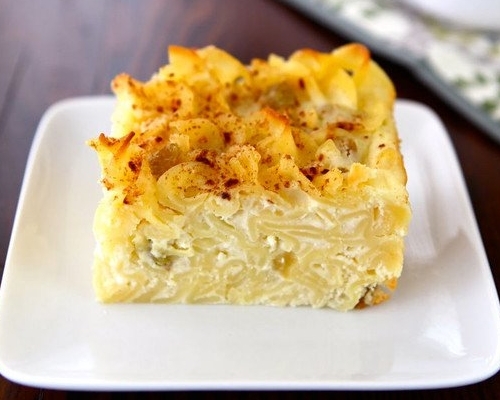 A portly man with a Nikon camera says thru a mouthful of sauerkraut: "Was I busy? Today I shot two weddings and a bar mitzvah." Meanwhile, everybody eats. Orders are ample, with the potato salad partly hiding the smoked fish, and the prices were moderate. The Ashkenaz menu lists more than 100 dishes, and 35 different dinners are served on week days. 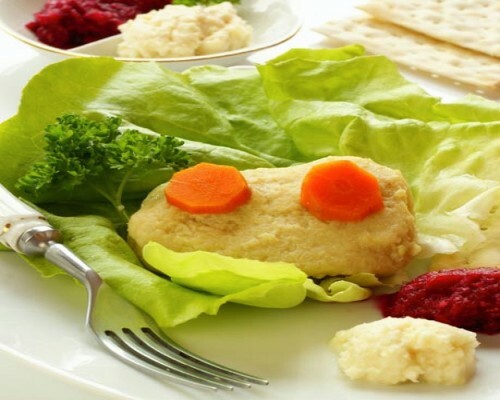 Not all the items are Jewish cuisine ─ beef stew is listed next to gefilte fish, barbecued spareribs next to stuffed kishkes with brown sauce. At the far end of the counter was an archway which lead to a dining room that is served from a second kitchen in the rear. The atmosphere in the dining room is relaxed and casual, and the diners chat from table to table. The tone is that of a family gathering. Sam Ashkenaz at the Deli Counter..
Sam Ashkenaz, the owner, had a gentle manner that masks his shrewd business ability. He looked and spoke somewhat like entertainer George Burns, with a raspy but soothing voice and a twinkling expression. It was often hard to tell whether he is being serious. One of his favorite topics of conversation was the origin of the restaurant. 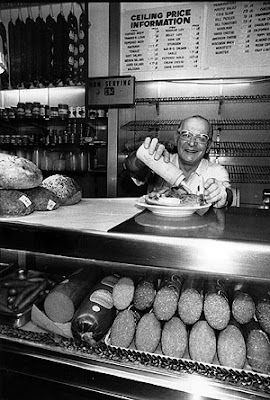 His parents, George and Ada Ashkenaz, immigrated from Russia early in the 1900s, and first opened a small delicatessen store near Roosevelt and Karlov in 1910. When the Jewish population moved north and west to the suburbs, the Ashkenaz family moved to Rogers Park, opening their first deli on Morse Avenue. It was a small shop, 10 by 30 feet or so, in which Ada Ashkenaz did the cooking in a tiny kitchen at the rear. During the mid-30s they acquired a space at 1432 West Morse Avenue and opened a new restaurant. It burned in 1939, and the couple had no insurance. Sam Ashkenaz, who graduated from Purdue that year with a degree in electrical engineering, joined his parents to help recoup the loss, borrowed money from the restaurants suppliers, fixed the restaurant and was back in business in 1940. At Ashkenaz a typical dinner may start with an appetizer such as chopped chicken livers, various kinds of herring, or a piece of small gefilte fish with red beet horseradish. 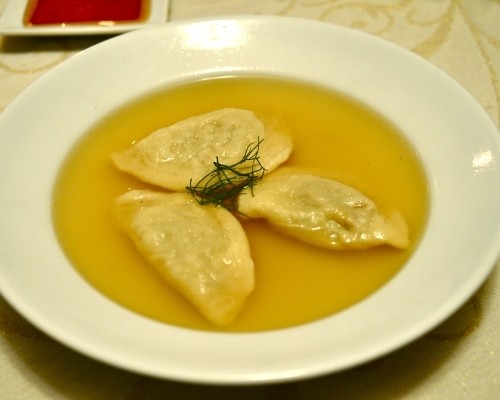 Next there is chicken soup with a matzo balls made entirely of matzo-meal dough or kreplach (a meat-filled dumpling for chicken soup). Chicken soup was served daily, and then there were the soups-of-the-day such as barley, potato, bean, or cabbage ─ thick, rich, with a minimum of liquid. "We don't serve a cup of soup," said Sam Ashkenaz with contempt. "Ten-ounce bowl with the dinner, 12-ounce bowl a la carte." The best seller was Corned Beef and pastrami sandwiches. They served-up over a ½ ton (1,000 pounds) of Corned Beef per month. Corned Beef - Sandwiches Piled High! 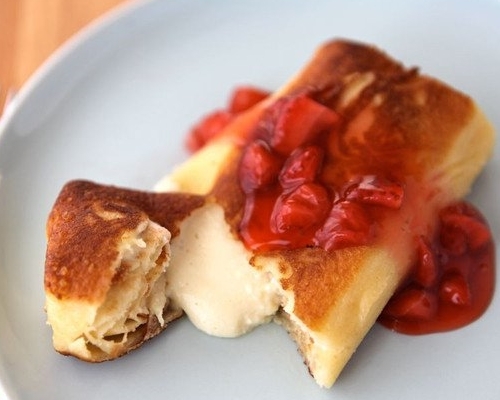 The "Family Recipe" blintzes were a popular entree; a thin pancake that is rolled and filled with cheese topped with fresh fruit, or meat filled and the fruit filled blintzes were invariably served with a decent dollop of sour cream. Where the Jewish cuisine reaches a hedonistic gastronomic status is in its sweet and sour cooking of meats and fish, and one of Ashkenaz's specialties was sweet and sour pickled trout. Most pickled fish is cooked with lemon as the souring agent, but Ashkenaz has a secret souring ingredient that produced a more piquant flavor. Many housewives came to Ashkenaz and ask how the flavor for their pickled trout is derived, but did he tell? Hah! The restaurant had its own bakery, with a line of pastries which includes an especially fine cheesecake. A large deli in New York City, Reuben's, makes a cherry cheesecake that some Chicagonas ordered by mail. Ashkenaz admits freely that Reuben's cheesecake is very good, but he points out that it is heavy and difficult to eat after a good meal, while his cheesecake was lighter. After sampling a slice, you'd have to agree with him. Ashkenaz's cheesecake was topped with a triumphal glace the color of rubies, which was filled with fresh strawberries. So what is a deli? It's a restaurant serving a great variety of foods with exotic flavors. 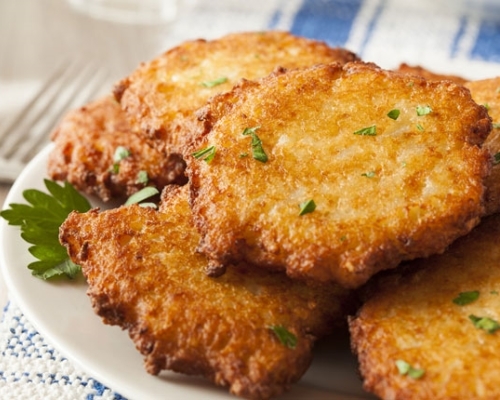 Tho it is called Jewish, the food is derived from many European cultures. It isn't a haute cuisine such as that created by French chefs like Escoffier; it is humble food ─ Jews who came here from Europe were poor. But the food is prepared with loving care; its Escoffier was a formidable matriarch, the Jewish mother, who believed "Nobody should go away hungry." Is it possible that this type of restaurant, with its superior menu and vivacious atmosphere, is on the way out? You should live so long. 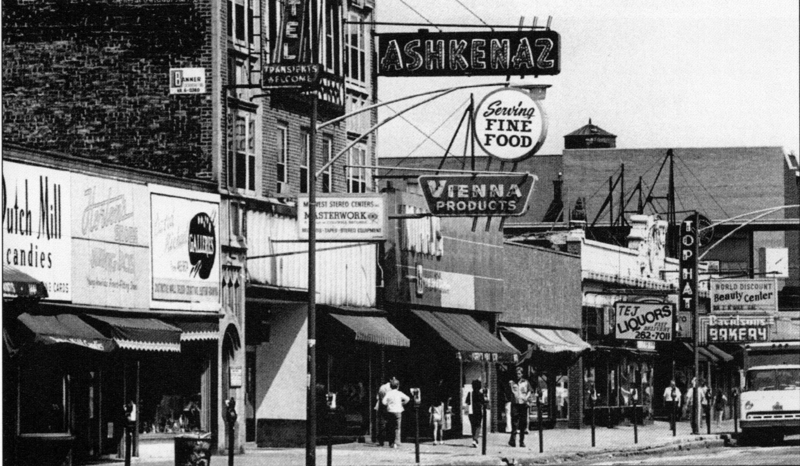 Ashkenaz Restaurant and Delicatessen was an institution that for years presided over Morse Avenue, within the shadow of the "L" tracks, until the early 1970s when the business burned down again. Sam Ashkenaz passed away on November 25, 1985, at the age of 71. A walk back to my teen years. This was my introduction to deli cuisine and I am still hooked. Thanks for the wonderful memories. I grew up on Touhy and Sheridan and when we did eat out, it was mostly at Ashkenaz. I moved away in 1965 and when I returned to Chicago to visit family, I was disappointed that Ashkenaz had moved to the suburbs--and wasn't the same. Whenever I have eaten at delis around the country, I have always measured corned beef sandwiches against what I ate at Ashkenaz. None measured up! Thanks for this delightful article. I lived between Glenwood and Sheridan on Touhy also. Just a short walk to Morse and another great meal at Ashkenaz. It burned down in the mid 70s. That's why it moved. Cinder and ash moved it for us. We used to go to Ashkenaz after the movies on Friday night. We( my teenage friends and I) would always order fries and a chocolate phosphate. Those were the days!!! Every Friday night in high school the ritual was, the Grenada theatre followed by eats at Ashkenaz. Morse ave would be filled with kids waiting to get in. Of course lunch 2-3 times a week was a must for Sullivanites and after school too for fries and a coke. One of Sam's three sons, Paul, was an oral surgeon and ended up opening an office in the Old Orchard Professional Building....he married one of the Singer girls, owners of Black Angus Restaurant. I lived at Estes and Sheridan Rd till grade school but I remember my dad taking us out to Ashkenaz twice a week. My favorite Deli, always had Pastrami. After playing ball, we rested. always followed by a slice of sweet watermelon. There we kibbutzes about our homework, then adjourned to some sidewalk to lag for quarters. My sister & I waitressed there when in college- hard work in a very busy restaurant. Sandwiches (yum,yum Joey Bishop Special) were made in the front; the dinners in the back. So, when a roast brisket on rye was ordered, I went to the front for the "set up", or bread and pickle, then to the rear for the brisket. God forbid if the bread were dry! Sam Ashkenaz could add super fast- he's add up my checks when it was crazy busy. He finally taught me how; I can still add long columns of numbers super fast, often amazing my friends who do not think of me as particularly math wise. His one son was the dentist. And the sweet rolls at that came out at 9pm for coffee and-- to die for! I worked the deli all through high school (Sullivan) and college (NIU)....it was my second home and Sam Ashkenaz was like a surrogate father. Best chocolate phosphates and the bakery was tops. Living not far from Morse Ave.,Ashkenaz was my 2nd home. Corned beef, cabbage soup, chocolate phos.,real coke in glass bottles. Always packed, crowded entryway by the register. Memories of the old 'hood and Ashkenaz are forever! Miss those daze...they were the best! Does anyone remember Dolores, the dark haired hostess who wore a ponytail? Did you know any of the Schwartz family (my great grandfather and grandfather and father and uncle lived in that area)? I still miss their cheese flakeys. None I have found have measured up! Every Sunday morning I was sent out for corn beef (lean) rye w/o seeds and onion rolls. I didn't grow up in Chicago and moved to Rogers Park as a young adult in 1960. 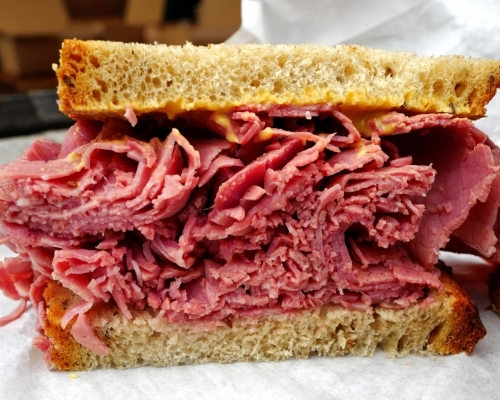 I don't remember when I discovered Ashkenaz, but I would travel down to Morse occasionally for the best corned beef sandwiches I've ever eaten. I'd forgotten about the cheesecake. I worked next door at Morry's Menswear and was the the Store Mgr., and always ate there 5 to 6 days a week and loved every meal! When we opened a store on Michigan Ave.645 N.)I really missed there food. But, every once and awhile I had to go back to back to Morse Ave. and had a meal there. WONDERFUL memories of that place. Oh, Paul, Sam's son open a place off Rush St....it didn't last too long. I have lived in California since 1973 (San Francisco and Los Angeles) and still think that Ashkenaz is the best deli that exists outside of NYC. My family went there often for meals in the 50s and 60s and I walked from Sullivan HS once a week for lunch in the 60s. I loved their corned beef, chocolate phosphates, cheesecake, potato pancakes, and almost everything eaten there. It was a huge part of my life growing up. Ashkenaz is where my parents taught me to drink coffee at a much too young age -- they served the cream in those tiny real glass tumblers and I'd always cajole them into give me my own "serving". Still can't find a chocolate phosphate that measures up to what I remember there. Being a student at Sullivan High School,( A couple blocks away)...I was fortunate to spend many lunchtimes at Ashkenaz...Great Food & Memories!! I went there with my friend Allen Lighter. We always had a great time. Thanks for the article and memories, including those from the fb posters. This one really touched me. I worked two doors down at Golden Gate Discount Store 1962-1967, High school and first year of college. Ate many, many meals there. Really was a great place. Sam Ashkenaz was a great guy. While a student at Sullivan in the 60's, my friends and I would often eat lunch at Ashkenaz. I don't recall if we were allowed to leave school for lunch but we needed our Ashkenaz fix by midday. I compare all delis to Ashkenaz but haven't found one serving food even close to the flavor of the food at Ashkenaz. 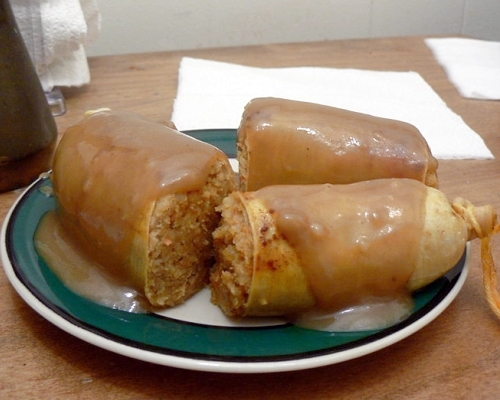 I loved the kishke and have been missing it for 50 yrs. Just reading these comments made me hungry. I live in rural western Montana, so if I have a craving I can't get any of this food here.